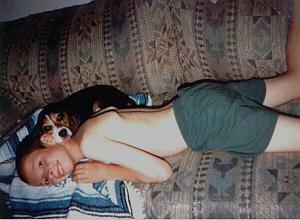 Jimmy, age eleven, with his beagle Penny. He loved that dog and she loved him. After he died, Penny seemed to go into a deep depression. She seemed to find comfort in sleeping with clothes that he had worn.